Product prices and availability are accurate as of 2019-04-23 03:37:33 EDT and are subject to change. Any price and availability information displayed on http://www.amazon.com/ at the time of purchase will apply to the purchase of this product. “Inner Road to Healing” is a collection of quotes and affirmations that will leave you inspired to overcome personal challenges. Valencia’s writing skills are unique and innovative. Her words of encouragement awakens the soul to a journey of inner healing. Valencia travels with you on creating new belief systems that will change your perception on life and how you view the world. Her goal is to empower, uplift and inspire readers to live a happy, healthy and productive life. 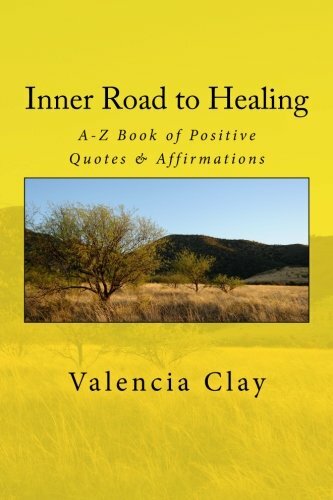 "Inner Road to Healing" is a tool and resource to help you get through adversity and focus on your inner powers of infinite possibilities. Open the door... let the breeze in!